Tagline- Terror Never Rests in Peace. 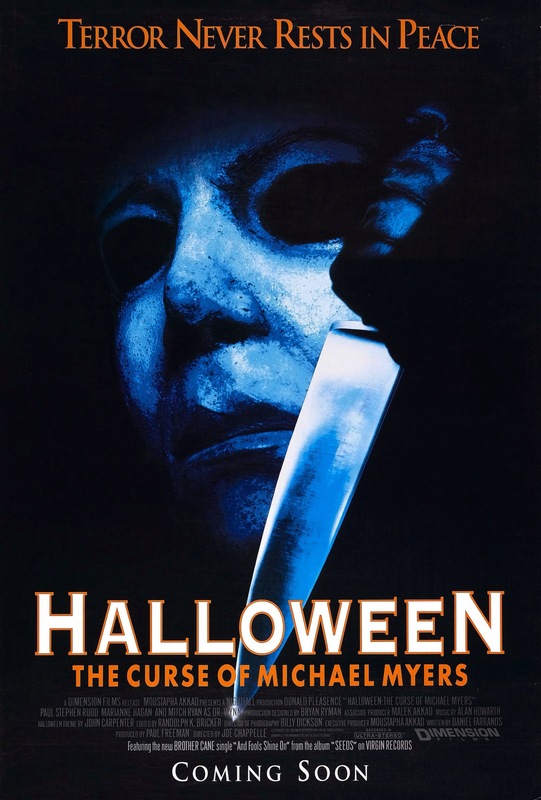 Released in 1995 Halloween: The Curse of Michael Myers draws a lot of mixed reactions from fans of the Halloween franchise; a small minority hails it as one of the best sequels of the series and many fans see it as the worst or one of the weaker installments. While I can see both sides of the argument I personally would rate this as one of the weaker installments with the worst in the series at least for me is by far Halloween: Resurrection. The longer a franchise goes on there comes a time when rehashing previous parts just doesn’t work anymore and often we see a series go in a totally different direction or a backstory is introduced. The Curse of Michael Myers introduces a backstory, which explains the mystery behind what drives Michael Myers (George Wilbur) to kill and the big question on the identity of the man in black, which was introduced in Halloween 5 is finally answered. Halloween: The Curse of Michael Myers takes the series in a new direction and as stated it was met with very mixed reviews. There are moments when the Curse of Michael Myers does feel unrelated like it was another film and rewritten to be a Halloween film (mostly the opening and closing acts). Daniel Farrands had the tough task of making sense out of the whole man in black. I’ll be the first to admit I enjoy Halloween 5 perhaps more than I should and the man in black did bring a bit of mystery to the film, but it also backed the series into a corner as well. The ending of Halloween 5 had a great cliffhanger and regardless of what anyone thought about the actual film it did get fans talking, but again I go back to how it backed the series into a corner and no matter what direction the film took fans would still be split. It took 6-years until Halloween 5 was followed up and after the 4th and 5th film were made independently the series moved over to Dimension films, which of course is the Weinsteins. Halloween: The Curse of Michael Myers was very much a cursed production that was plagued by too many different people with different ideas on how the film should go. Daniel Farrands wrote a number of drafts for the film and even after the film started shooting it was still going through rewrites and this led to reshoots that resulted in two very different cuts of the film. I’ve read some of the different drafts and quite honestly I was never overly fond of them and that has nothing to do with Daniel Farrands as a writer since I personally wasn’t a huge fan of the direction the film took, but in his defense he didn’t exactly have ideal conditions either. I fully understand the film industry and how things like this can be common, but you’d think by the time shooting started everyone would finally be on the same page, but obviously not. The screenplay by Daniel Farrands is quite a mess, which again isn’t on him since the script went through a number of rewrites and as stated reshoots and apparently producer Paul Freeman was involved with some of the rewrites as was director Joe Chappelle who from what I can gather rewrote a good portion of the final act. Due to all the outside interference the script is quite sloppy and just a complete mess. 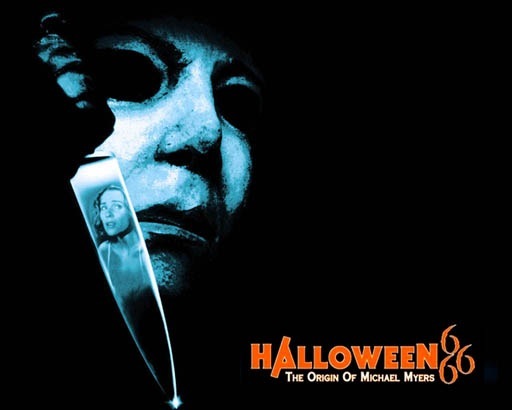 This time around we get a deeper explanation for what drives Michael to kill and my biggest issue is that at least for me is it sort of takes away the boogeyman aspect of Michael Myers. I’ll give Farrands credit for attempting to breathe new life into the series rather than take the easy way out and simply rewrite John Carpenter and Debra Hill’s script, which is more or less what the other writers did. The concept of thorn and the occult angle was quite interesting, but I can’t help but feel it would have worked better if it was its own film and not Halloween. I understand at some point in a franchise you have to give an explanation in an attempt to keep things fresh and bring the series into a new direction, but I felt it was the wrong move in explaining Michael’s motives too deeply. Again I found the idea interesting, but it just strays a little too much at times. If this was the 2nd film or maybe even the 3rd the concept of thorn might have worked a little better. However with all the rewrites and reshoots the whole thorn angle becomes quite sloppy and by the time the final act rolls around plot ideas are completely dropped in favor of carnage and it sort of rules everything that came before pointless, which isn’t because of Daniel Farrands, but since he’s listed as the writer he gets the blame, which isn’t fair. However with the shortcomings of the script in regards to the plot the one area where I did feel Farrands did a good job was with the characters and while they weren’t anything epic they are fairly decently developed and add a little more to the movie than simply victims for Michael. Kara Strode (Hagan) was a solid character and doesn’t get the credit she deserves due to the mass opinion on the movie and it was interesting seeing Tommy Doyle (Rudd) again and seeing what has become of him since the original film. In many ways Tommy is sort of the new Loomis (Pleasence). Apparently it was Joe Chappelle who wanted to use less of Loomis whereas in the Producer’s Cut, Loomis has a much larger role. While I liked Tommy quite a bit I don’t think the character was strong enough to carry the film. With all that said I felt Farrands did a nice job with the characters, but too bad it’s often overlooked. Director Joe Chappelle delivers a mostly sloppy and uninspired movie; according to some of the cast apparently all he cared about was a securing a 3-picture deal from Dimension Films. Chappelle’s scenes have no real sense of pacing and it’s mostly devoid of any suspense; the death scenes are poorly set up and the whole production is very pedestrian. Chappelle delivers a few decent scenes in terms of suspense, but not enough to make much out of the film and its also brought down by the terrible score and editing (both are far better in the Producer’s Cut). Even though I felt the script was a bit of a mess with the right director it could have sort of salvaged the movie, but instead Joe Chappelle just makes even more of a mess out of everything as he never really manages any sense of atmosphere or as mentioned suspense and while the sequels may not exactly be classics of the genre they did at least offer a decent feel of suspense at times, but Curse of Michael Myers mostly lacks in every area and the overall production feels like a DTV film. Overall Halloween: The Curse of Michael Myers is quite a mess of a film plagued by too many rewrites and than reshoots. As mentioned the score and editing were quite awful and I wonder who decided they were a good idea? That in part zaps any possible suspense the film had going for it. While my review might sound quite harsh the film does have its moments and I can tolerate it and even watch it every so often, but I’d recommend watching the Producer’s Cut instead.